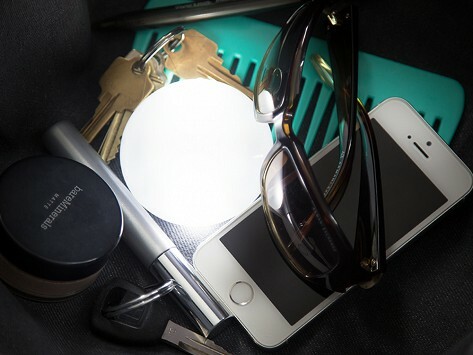 SOI puts an end to blindly rummaging through your purse or backpack to find keys, wallet, or a pen. This clever little 1.5 ounce light turns on when it senses your hand. Battery operated and easy to transfer from bag to bag, SOI is the world’s first automatic bag light. Dimensions: 3" diameter x 0.9"
A life saver when looking for keys or anything else inside a big pocketbook. A Must-Have for Anyone Who Uses Handbags! Bought this as a gift. The recipient loved it...nice functional, and small. Founders Christian Schech and Bastian Wetzel came up with the idea for SOI during a power failure at a folk festival. They looked around at all the women using cigarette lighters or cell phones to look inside their bags, and knew there had to be a better way.